I'm wondering exactly how long it will take for me to get over the novelty of getting to justifiably talk about books for both boys and girls, seeing as I'm now mother to both sexes. You are going to have to pardon my awe and happiness on this front for awhile, I'm afraid. I hope you'll forgive me after I tell you about these super cool new reads, all from Chronicle Books, all just recently released. We have two "for boys" and two "for girls" although I'm quite certain you can mix and match with gusto and enthusiasm. 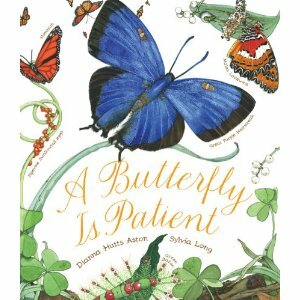 A Butterfly Is Patient , by Dianna Hutts Aston is a beauty. It is also the newest book illustrated by Sylvia Long, who also illustrated A Seed Is Sleepy (which I reviewed somewhere but cannot seem to locate.) Of course, in this title we're talking about butterflies and Long's illustrations bring them to life in a perfectly gorgeous way. You will be greeted by illustrations of various caterpillars immediately upon cracking open the book. Children can therefore give close attention to the differences between the Tailed Jay caterpillar and the Zebra Longwing. Moving into the book we learn about the life cycle of the butterfly in simple, clear and informative text. The explanation of the life cycle is given in story form, explaining the step-by-step process in a manner that children can easily follow along with. In A Butterfly Is Patient you can learn more about how helpful butterflies are, which ones are poisonous, and how they do things like drink. A highly recommended read and addition to any study on butterflies. I couldn't resist reading through a copy of The Twelve Dancing Princesses which is one of my favorite princess fairy tales. This time it has been retold and illustrated by Brigette Barrager. The story is familiar and no reader will be surprised by it. The illustrations have a 1960's feel to them, as we are beginning to see come out again in books that Disney is producing for us these days. You can get a general taste of what you'll see inside the book simply by looking at the cover art. I absolutely love it! I think the book gives off a classic, magical feel even though it modernizes the tale through the illustrations a bit. I also like the fact that there seem to be an average of 6-7 sentences per page spread which definitely makes this read off like your regular picture book, even though it is a story with some history. This was definitely a story I wanted to add to our home library and I'm very pleased with the Barrager edition. Now, you know why The Secret World of Whales caught our eye, don't you? Actually, I was thinking that Bookworm1, our resident sea creature lovin' fella, might not enjoy these book so very much. It is not a picture book and is laid out in chapters. (He is somewhat suspicious of chapter books as a general rule.) However, his love of whales won out. He enjoys looking at the pictures and asks me to read him bits and pieces of this book from time to time. Daddy and Mommy might have found more reasons to enjoy and appreciate this book than Bookworm1 at the present moment, actually. There is a particularly fascinating chapter on "Tales of Whales" which shares about various encounters (true or no?) with these large beats of the sea. It was fascinating to read about old stories and legends. 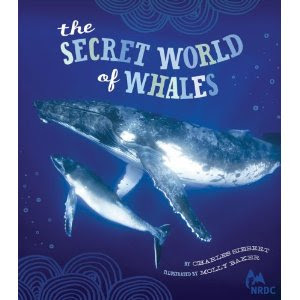 Other chapters include information on whale hunting, the whale brain, and sounds of the whale. There are nine chapters all told and each one is dotted with illustrations and photographs which makes the book rather a pleasure to look through. No matter how old you are. 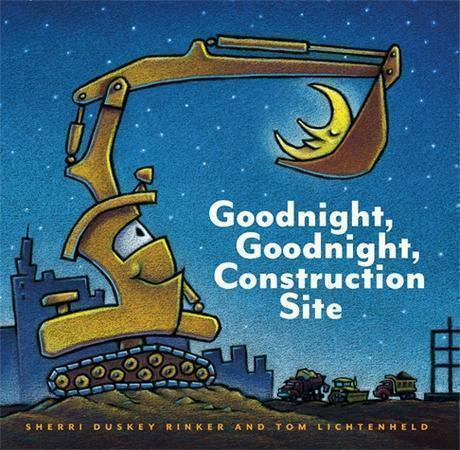 Lastly, we checked out Goodnight, Goodnight Construction Site which I thought would be a sure hit for Bookworm2 - and I was right! This book is told in rhyme and talks about the various machinery at the construction site. The machines work all day (making lots of fun sounds) but then go "shhhhhh" to sleep at night. Bookworm2 happily shh-ed all of the machines to sleep throughout this read. (I think he just likes telling something/someone's other than himself that it's time to go to bed.) It's a cute book and a fun read. Especially if you are fond of cars and trucks and are between the ages of 2 and 4. I think we can safely recommend this one to you. A special thank you to Chronicle Books who very kindly sent copies of each of the aforementioned titles my way in exchange for my opinion of them. My opinion is, without a doubt, that they are all quite awesome! Thanks for the good reads! We had fun! 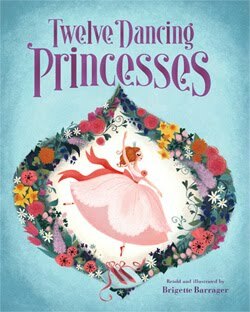 I read Twelve Dancing Princesses for the first time this spring when reading through a fairy tale book with M. It was all new to me! I do like the look of those illustrations! The last book looks awesome!! Perfect for naps and bedtime...I love ending a book that lends itself to the child sleeping too! These do look wonderful! I'm actually acquiring a to-read list for when I spend time with my little grandsons. They love to be read to!